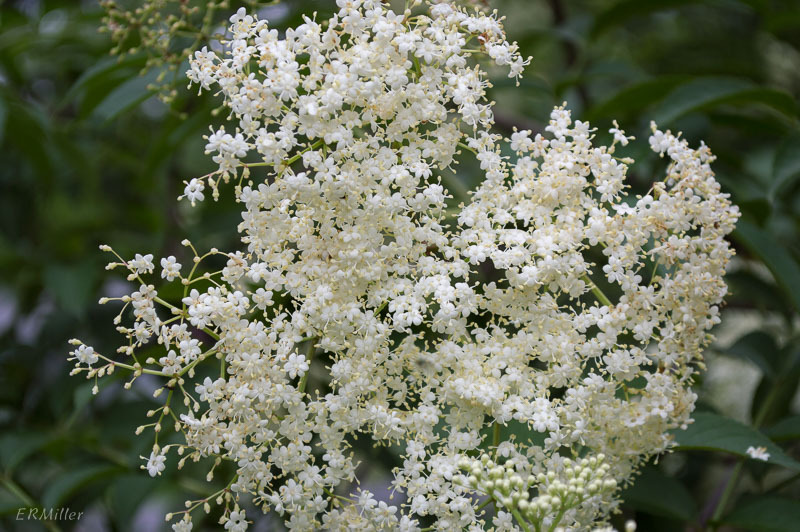 Elderberry is a small, many-stemmed shrub, found in the woodland understory in riparian areas all over the US, except for a few states in the West and Northwest. 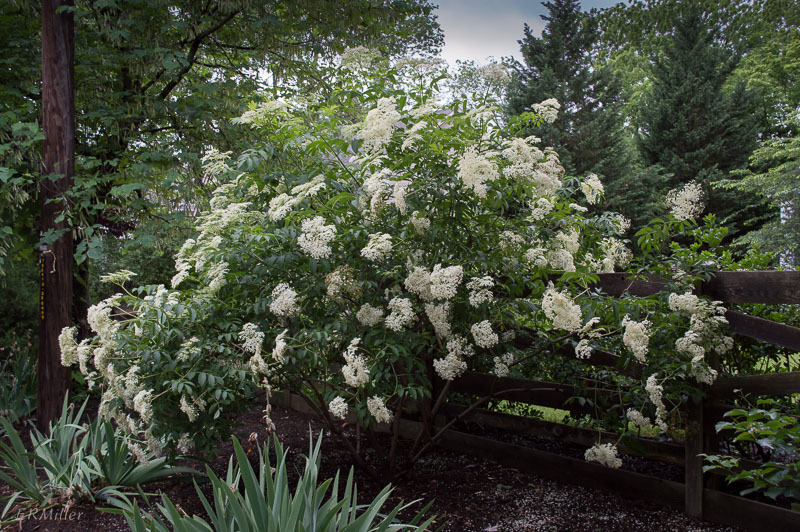 and in good growing conditions masses of tiny flowers in large, umbel-like panicles. You won’t see it growing like this in the wild, though. This is an established specimen in my garden. 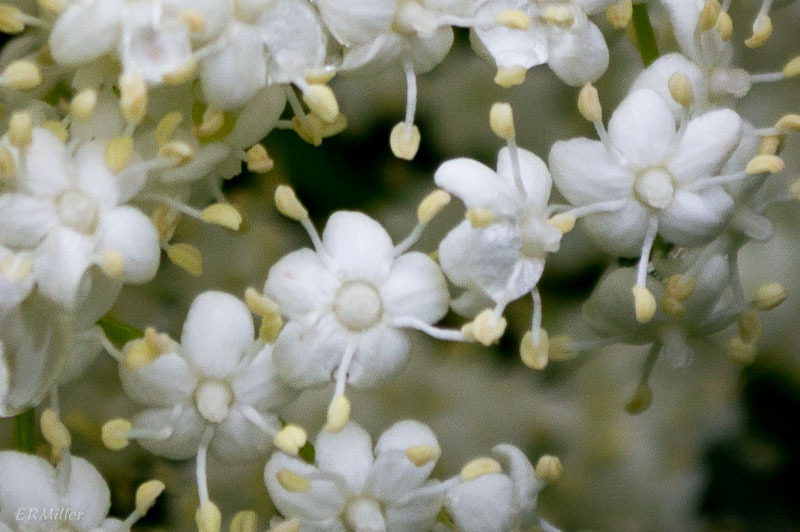 Elderberry is useful, providing good food and cover to wildlife and useful wood to humans. (And fruit, of course, though not commercially.) All the ecology, horticulture, and ethnobotany you’d care to know can be found on this USDA page. Maybe I should re-name this site “Elizabeth’s Flowering Tree Blog”. Between rain and commitments to other projects, I haven’t been getting out to the Gorge much. And when I do, tree flowers are what I’m seeing. 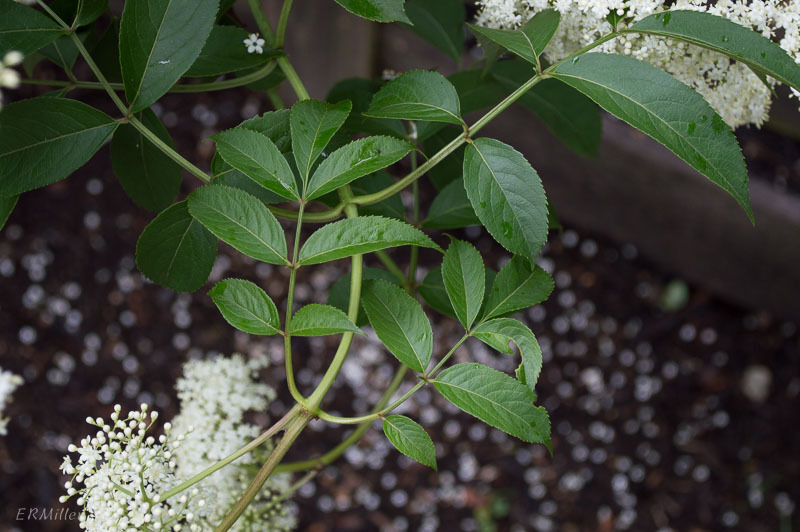 This entry was posted in Uncategorized and tagged Caprifoliaceae, elderberry, Sambucus by elizabeth. Bookmark the permalink.